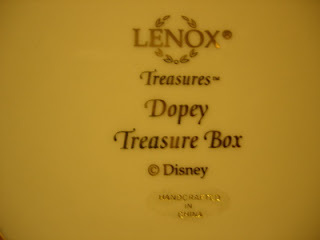 This is a "Lenox Treasures" brand "Dopey Treasure Box", made by Lenox. 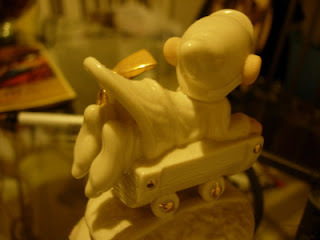 It's a very nice and beautiful box, and made a great gift. 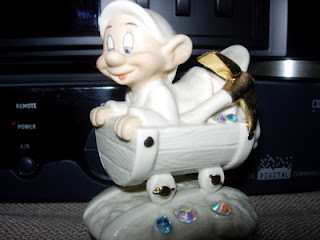 My good friend Cinde Castro told me about it, and we went to the "World of Disney" store at Downtown Disney at the Disneyland Resort in Anaheim, CA to buy this and a couple of other boxes (they also had a box for Snow White and one for Winnie the Pooh, which were also fantastic). 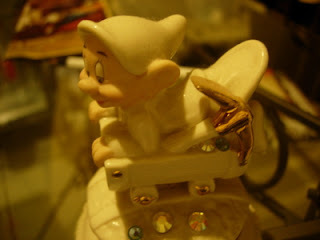 This box is really beautiful, plussed with sparkling jewels and plated with real gold. 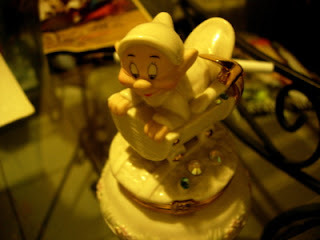 I purchased this in December of 2005. 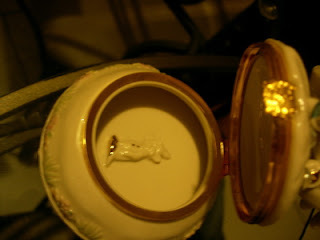 I also bought another one for a Christmas gift. 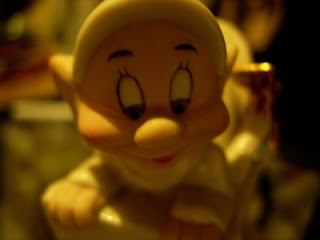 Dopey is from the 1937 Walt Disney classic, "Snow White and the Seven Dwarfs".